Cucumbers are the fourth most cultivated vegetable in the world and known to be one of the best foods for your body’s overall wellness. They are rich in vitamin A, B1, B6, C & D, Folate, Calcium, Magnesium, and Potassium. Let’s see some of the amazing health benefits of cucumbers here. Health Benefits of Cucumbers in reducing the blood pressure. Potassium is a heart friendly electrolyte to bring a reduction in total blood pressure and heart rates by countering effects of sodium. They contain a lot of potassium, magnesium, and fiber. These work effectively for regulating blood pressure. This makes cucumbers good for treating both low blood pressure and high blood pressure. Cucumbers are miraculous for eyes and they have magical power to heal. There are enlightening benefits of placing them on eyes. We always see people putting two slices of cucumber on eyes and get relax for 5-10 mins, is it really effective. 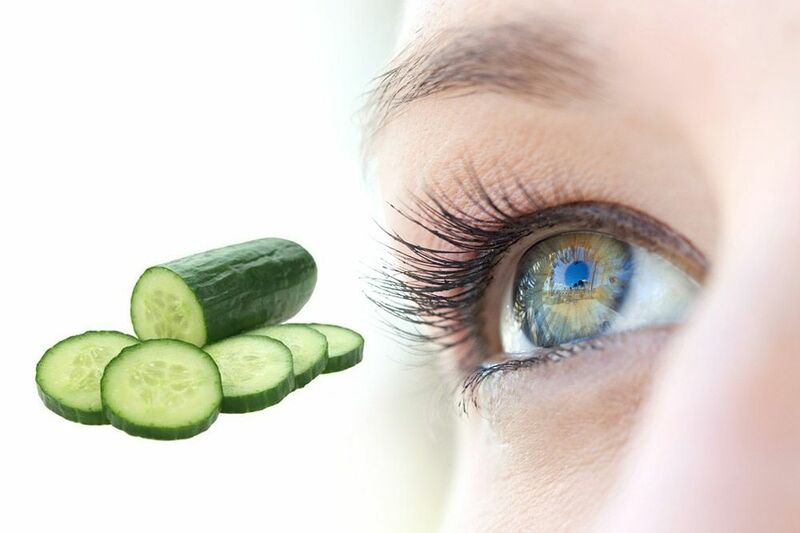 Yes, cucumbers help to lighten dark circles under the eyes. Cucumbers have a subtle, mild skin lightening effect. This will soothe the eyes and relieve it from the stress developed due to work. 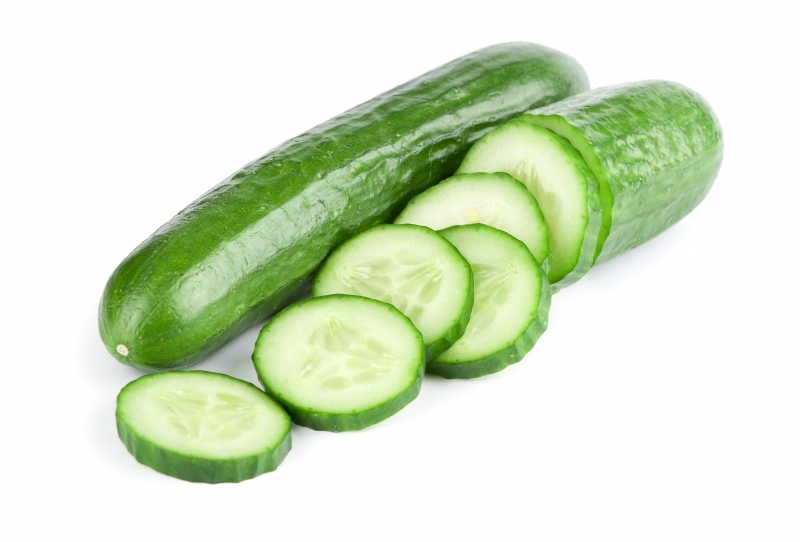 Cucumber contains ascorbic acid and caffeic acid which lowers the water retention in the eyes. This will suppress the swelling and puffiness in the eyes. Also it has anti-inflammatory effect and cool temperature decreases the blood flow around the eyes, thus alleviating swelling and puffiness around eyes. You can soak two cotton balls in the cucumber juice and apply it to your eyes. Cucumber has a substance called phytochemical. This will cause tightening of collagen in the skin and firm up outer layer. You will get rid of wrinkles around the eyes within a month. Cucumber pulp can improve your skin’s complexion, especially if you are experiencing redness or irritation. Cucumber pulp can also help rejuvenate the skin. Cucumber refreshes the eyes. Cucumber contains 95% water. It can be a moisturizer for the eyes which refreshes the eyes, especially after you run your activities under the scorching sun. Health Benefits of Cucumbers in removing the water thrust and keeping your body hydrated. They have 95 percent water, which keeps the body hydrated and helps the body to eliminate toxins. It is one of the very low-calorie vegetables; indeed has more nutrients to offer than just water and electrolytes. Cucumber peel is a good source of dietary fiber.It helps to reduce constipation and offers some protection against colon cancers by eliminating toxic compounds from the gut. Cucumber juice is a very good refreshing drink. Health Benefits of Cucumbers in strengthening the Joints. Cucumber is an excellent source of silica, which is known to help promotes joint health by strengthening the connective tissues. They may help to reduce cholesterol levels. Due to its low calorie and high water content, cucumber is an ideal diet for people who are looking for weight loss. The high water content and dietary fiber in them is very effective in ridding the body of toxins from the digestive system. Daily consumption of cucumber can be regarded as a remedy for chronic constipation. Cucumber is known to contain lariciresinol, pinoresinol, and Seco iso lariciresinol. These three lignans have a strong history of research in connection with reduced risk of several cancer. Take a slice of cucumber and press it to the roof of your mouth with your tongue for 30 seconds. The phytochemicals will kill the bacteria in your mouth responsible for causing bad breath. They is easy to grow, found in different Varieties, varies in size, shape, and color. They are cultivated all around the world under different climatic zones. It has mild sweet taste and have a crunchy texture and almost neutral flavor. Yes the explanation is true in real life is good, and I love it .